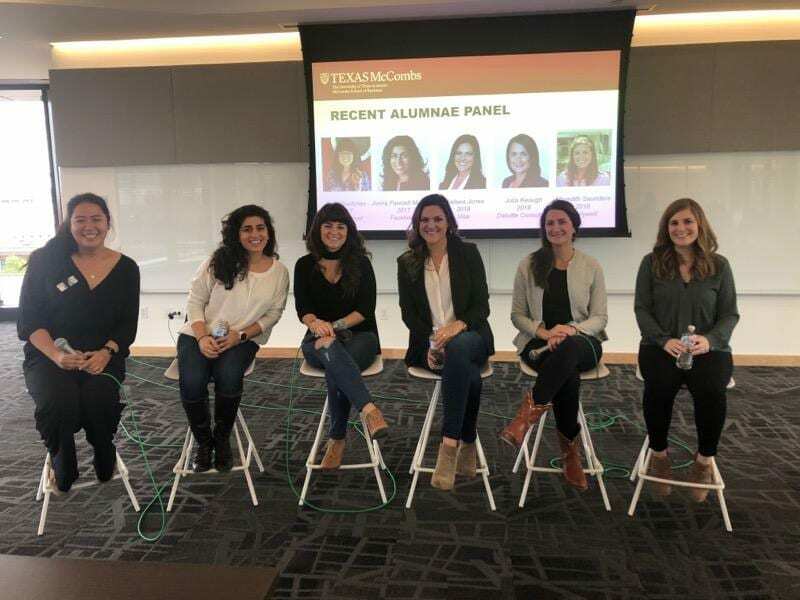 On November 9 & 10, Texas McCombs hosted 56 future women MBAs on campus and around Austin for our Discover McCombs: Women’s Weekend– an unbeatable firsthand experience for anyone considering a Texas McCombs MBA. Attendees networked, explored Rowling Hall, heard an overview of program curriculum & career resources, and learned about the UT Austin community. We always look forward to this weekend of programming committed to the empowerment of women in higher education and business, and this year we were joined by current students, MBA faculty & staff, and recent alumnae to share their #WhyMcCombs. The Welcome Reception on Friday evening was held at the Kendra Scott Home Office in central Austin, a beautiful new space indicative of Austin’s vibrant community of unique, innovative entrepreneurs. 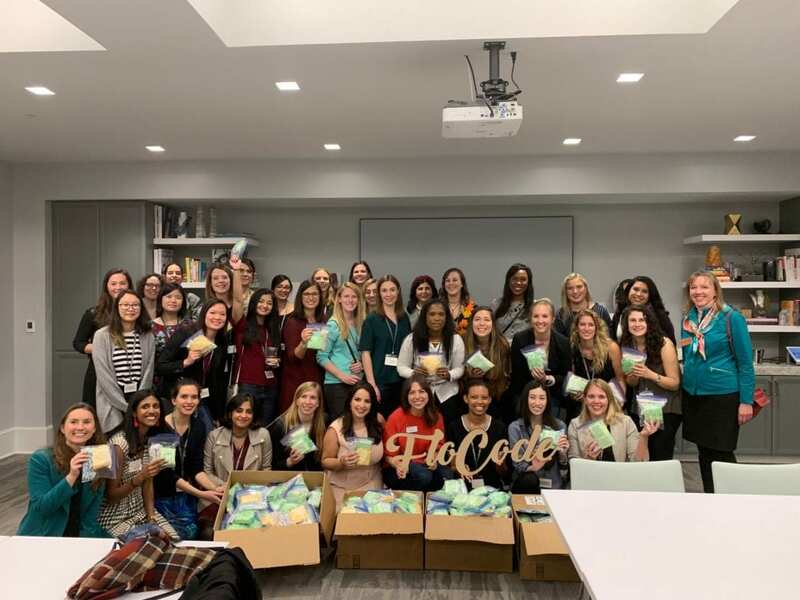 Attendees were also given the opportunity to work with Flo Code, a non-profit that provides menstrual products to those in need, focuses on ending the stigma of women’s needs through service, and encourages women to reclaim space in the business world. They collect donations of feminine hygiene products and distribute the products to underserved women and girls. If you’d like to help support Flo Code, please consider donating items from their Amazon wishlist. Along with our 56 attendees, Texas McCombs was able to put together 315 Flo Packs! I felt grateful to have the opportunity to participate in the weekend! 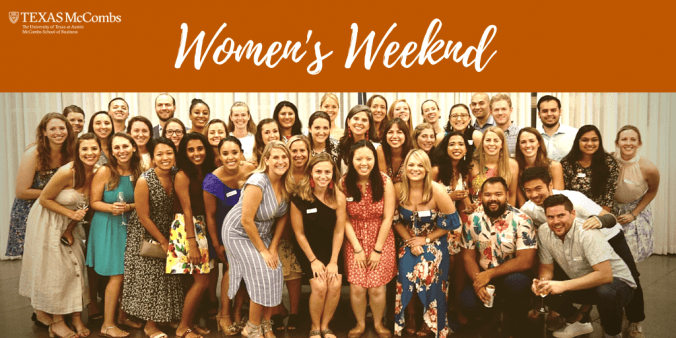 Women’s Weekend was my first introduction to Texas McCombs two years ago and I tried to keep that in mind when planning the event this year. We wanted to make sure it felt inclusive, energetic and personalized. The great panels, service component, reception at Kendra Scott and #IamRemarkable activity really captured the McCombs spirit. Texas McCombs also partnered with Google this year for an #IAmRemarkable workshop at Rowling Hall. #IAmRemarkable is a Google initiative that aims to empower women and underrepresented groups to celebrate their achievements in the workplace and beyond. Catenya McHenry, Texas McCombs Director of Media and PR, was on the #IAmRemarkable panel alongside alumna and owner of Unit D Pizzeria, Shalou Dhamija Barth. Visit Texas McCombs MBA to find out more about our programs, events, and community, or join the #WhyMcCombs conversation on Twitter. Hook ’em!